THIS WEEK ONLY – UPGRADE & SAVE 15%! It’s that time of the year again and we want to help you get a great deal on the leading property analysis software on the market. 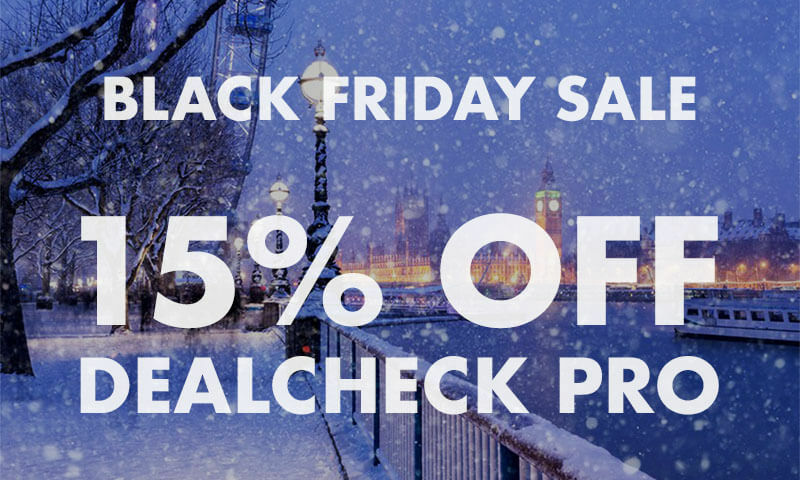 Get 15% OFF the DealCheck Pro upgrade during our Black Friday & Cyber Monday sale! Use promo code BLACKFRIDAY18 at checkout online. 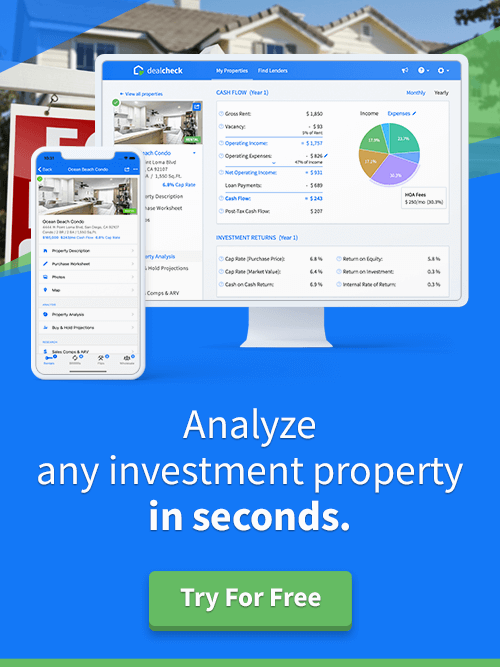 With DealCheck Pro, you can analyze unlimited properties, screen deals with over a dozen custom criteria, unlock the purchase offer calculator and add branding to any PDF report. Click here to learn more and upgrade today!